At long last a game that is worth the hype. 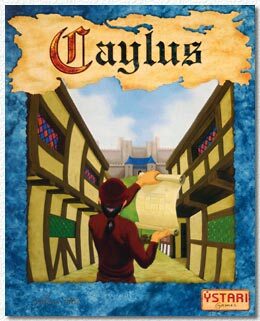 'Caylus' is a great game by the young publisher 'Ystari' and it is a convincing successor to games like Puerto Rico, in which the ramifications of the many actions available to each player form a complicated whole that can be enjoyed by anyone who loves great game mechanics. 'Caylus' is elegant and very streamlined, but anything but a 'light' game. In fact it is very unforgiving to first time players! Still, gamers will ponder over this game for years to come, so it fully deserves our title 'game of the month'.